Warships of the Civil War Navies consists of data tables listing and describing Union and Confederate naval vessels. These tables are taken directly from post-war government publications. There is very little original material in the book. Its value, however, is in bringing this information into a single volume. It would also be of value for the numerous photographs illustrating the major ship classes, but this is where the problem lies. Some of the photos are incorrectly identified. The photo on p. 159 that is labeled as the USS Conestoga is actually the Tyler. On the following page the photo identified as the Lexington is in reality the Conestoga. Below it is a correctly labeled second photo of the Tyler. I'm not familiar enough with the other ship classes to say if there are additional mistakes, but on the basis of these rather blatant errors I would not want to trust or recommend the book as a pictorial reference. It is a general description on nearly all vessels of the ACW.Format entry for all vessels including small tugs.I found it to be a great reference for tabletop wargaming the ACW navy period. Many authors of game rules should read this.It lists all the guns and modifications to the number and type of guns during the war.However, early sailing vessels used in the war are lightly covered and can be found in detail in another book for that period. Mr. Silverstone gives a general description of Civil War ironclads with a few pictures included in the book.The descriptions are the same layout for each ship describing the same characteristics, but if a basic general reference of almost all ironclads used during the civil war is what you are looking for, this is the book. Though the land war dominates the Civil War historic literature and imagination, the war at sea was equally dramatic and a vital contributor to the Union victory. 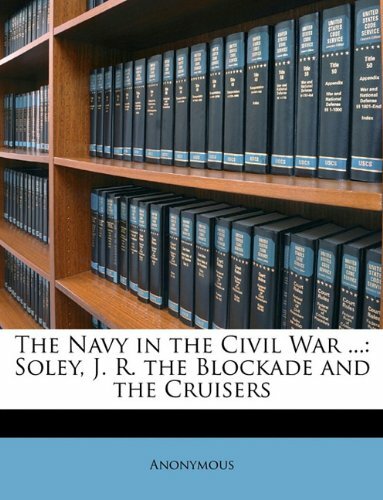 Drawing on recent scholarship, official records, and the memoirs of participants, Spencer Tucker looks at the important roles played by the Union and Confederate navies during the Civil War. Tucker opens with an overview of the U.S. Navy’s history to 1861 and then closely examines the two navies at the beginning of the war, including the senior leadership, officers and personnel, organization, recruitment practices, training, facilities, and manufacturing resources. He discusses the acquisition of ships and the design and construction of new types, as well as their armament and the development of naval ordnance, and Northern and Southern naval strategies. Though overshadowed by the famous campaigns on land, the naval battles fought between the Union and the Confederacy was just as significant in determining the outcome of the Civil War.In this book, Spencer Tucker seeks to rectify this imbalance, not just by giving the fighting on the sea and the rivers their due, but by going beyond the usual focus on the famous ironclad duels and the commerce raiders to provide a comprehensive study that includes many neglected aspects of the naval war between the states. 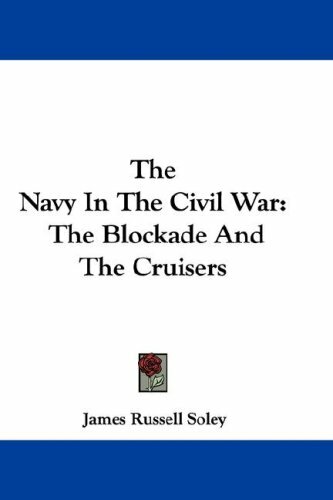 Vividly written and well researched by a noted historian of the period, this succinct history credits the Union Navy as an essential element in the northern victory. Neither ponderous nor hagiographic, the work presents characters and events that have been previously neglected and offers candid assessments of officers, men, and material. Originally published in 1990, when it was a Military History Book Club selection, the work is considered a must for Civil War buffs. It is an authoritative and gripping story of the battles waged. 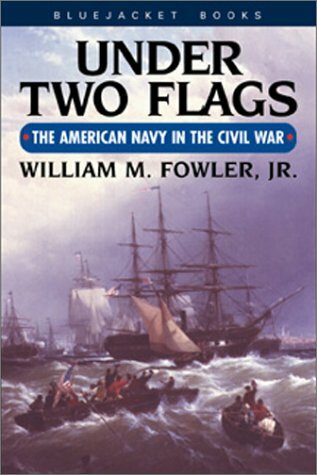 Concise and clearly written, Under Two Flags is a good review on the Navel engagements fought during the Civil War. It is at once an interesting overview for knowledgeable students of the war and a very good introduction to those unfamiliar with this dimension of the conflict. Fast paced, easily read, there are passages and fascinating history I have found nowhere else. 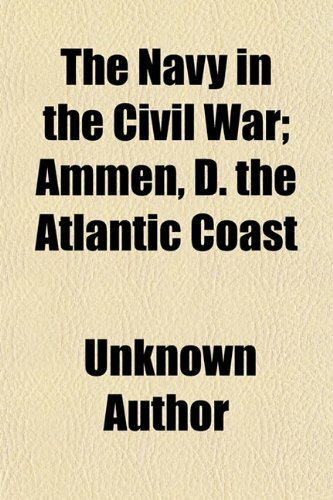 Covering confederate raiders, the river campaigns, the blockade and the various assaults upon Confederate ports by combined Union Navy and Army amphibious operations, Fowler delivers a very even handed discussion of this often forgotten aspect of the war. This is worth your time! I good reference source for early navy ships of the US Navy. As a shelf book i prize it highly I am familar with Paul Silvertstone for the naval Photos obtained from him in earlier years. As others have noted, Paul Silverstone's book is not a study of the U.S. and Confederate navies themselves, but rather of the many vessels that constituted the navies.Every known vessel is listed and organized by type and class.The format is both pictorial and tabular.The encyclopedic nature of the work makes it an excellent reference companion when studying any American Civil War naval action. Silverstone begins with a brief introduction, then a section explaining the presentation format of the data, provides a list of abbreviations, and then includes a section on naval ordnance by W.J. Jurens before proceeding to the bulk of the work.Civil War Navies is divided into two parts.Part I covers U.S. Navy warships and is divided into the following chapters:Armored Vessels, Unarmored Steam Vessels, Acquired Combatant Vessels, Service Vessels, Sailing Ships, The Mississippi River Fleet, The U.S. Revenue Cutter Service, and the United States Coast Survey.Part II presents the Confederate States Navy warships and includes the following chapters:Introduction, Armored Vessels, Unarmored Steam Vessels, Area Defense Forces, Privateers, Blockade Runners, and Tenders.The book concludes with an appendix list of shipbuilders, a bibliography, and index of ship names. Typical entries are arranged by class with a short table of names, builders, lay down date, launch date, and commissioning.Photographs of the actual vessels are included where available.Below the vessel name list for the class are tonnage, dimensions, machinery (propulsion), ship's complement, and armament.Differences between vessels of the same class are noted here, and rearmament is also listed where known.Further notes are then provided, then the service records, (sometimes with mention of casualties), and known captures of enemy vessels. Finally- a "Jane's" for the Civil War! 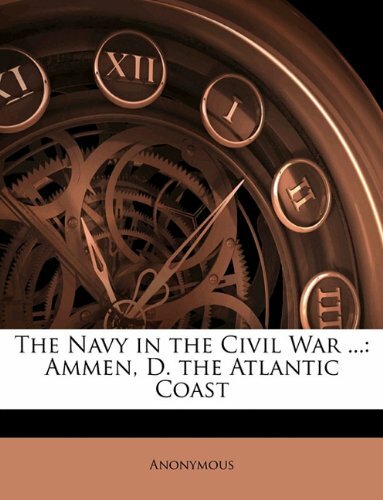 This book has practically everything you need to know about Civil War naval ships in an easy to read "Jane's" type format - sorted into categories such as armored vessals, unarmored steam vessals, sailing ships, etc. and listing tonnage, armaments, complement, and a brief service record for each ship.As far as I can tell, the research is impeccable - quite a few photos never seen before.A real labor of live. 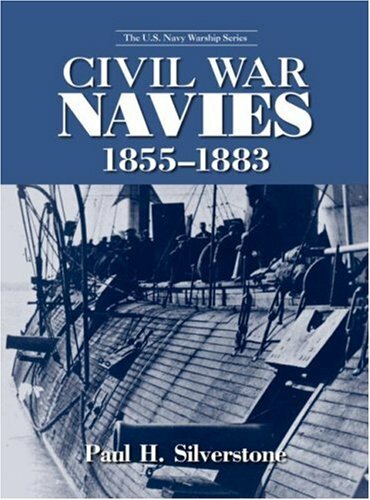 The book is a little overpriced at $50, especially since it does not include other country's navies, have any maps, or include any other "goodies", but is really the only resouce of its kind for Civil War naval buffs. I have read this book and feel it is very well done.I feel that Mr. Fields has done an excellent job in researching and presenting a subject matter that seems to have been long overdue.In-depth articles, excellent photographs and a narrative make this more than just an ordinary reference book.Being a collector of CDVs for some time now, I found this book to be very helpful and very enjoyable at the same time. 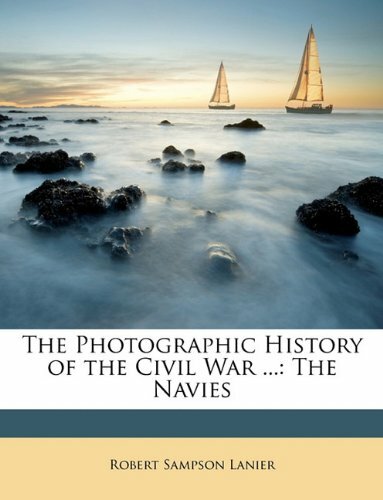 A well documented and visually stunning account makes this a must-have for any Civil War buff out there. Simply excellent. 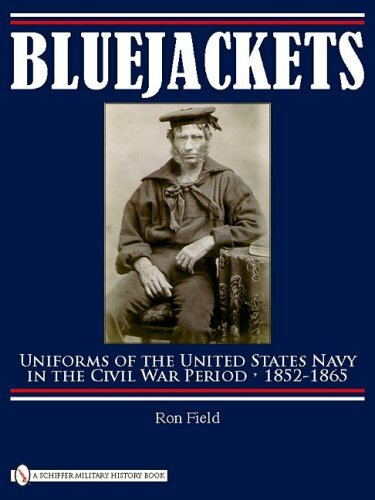 This is the best book on Civil War Navy Uniforms for a long time.It is especially good because it goes into detail about what the enlisted men wore instead of concentrating on just officers.In particular the author has teased out information from the 1820's onwards on the development of the enlisted sailors clothing, which I have not seen before.That alone makes this book stand out.Also from a genealogical point of view many of the captions are valuable because not only do they give the sailors uniform details but also personal details like where they were born and where they were living.I would love to see more like this in print.The quality of illustrations is also outstanding. Well researched and a great reference tool. Excellent. I found Bluejackets well researched. The introduction states that the research is based on previous work which has been moved forward to a fuller understanding of both officer's and enlisted men's Civil War naval uniforms. In fact a large percentage of the book deals with new research by Field which examines manufacture and distribution of all types of uniform and clothing over a period of time extending back to the early 19th century. As far as I know much of this material, particularly concerning enlisted men, has never been published before. It is a well documented compilation of artifacts and images from leading collectors and institutions and it is an achievement to have collated this information under one set of covers. A valuable reference work which is highly recommended by this reviewer. 14. 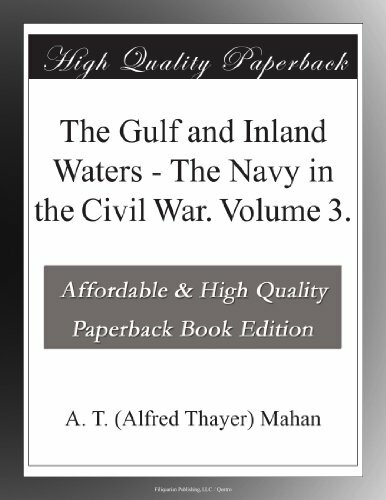 The Gulf and Inland Waters - The Navy in the Civil War. Volume 3. 832 pages of the "United States Army and Navy Journal and Gazette of the Regular and Volunteer Forces," archived on CD-ROM. Sometimes called "Army and Navy Journal" or "Armed Forces Journal," these 52 issues date from August 27, 1864 to August 19, 1865. The Army and Navy Journal was the nation's leading military journal of the time. In 1863, the Army and Navy Journal, as it came to be called, began a long run. It was not just a professional journal like the others mentioned. The Army and Navy Journal, along with its social and other items about service personnel, carried articles, correspondence, and news of interest to military people that helped bind its readers together in a common professional fraternity. The Army and Navy Journal and Gazette first date of issue was August 29, 1863. In addition to major Civil War events, the Army Navy Journal covered stories of court martials, obituaries, official dispatches from the War Department, appointments, list of AWOLs, foreign military matters, editorials and advertisements. The disc contains a text transcript of all recognizable text embedded into the graphic image of each page of each document, creating a searchable finding aid. Searches can be conducted across all issues on the disc. 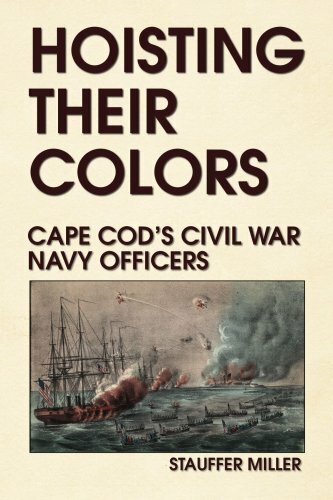 After painstaking research, Stauffer Miller has put together the story of Cape Cod, Massachusetts' many ship captains and mates who put aside their careers as merchant seamen to don the uniform of Union Navy officers in the Civil War. What made them do it? What was the effect of their actions on their families, or themselves? Here is their story, often of conflict within a conflict. "City Point, Va, May 28, 1862. We are now quite close to famous Monitor, and a queer-looking craft she is. She looks like a raft with a circular tower amidships. She bears two of three deep dents in her turret and two ugly marks, one on each bow, received in her gallant encounter with the Merrimac. Altogether, she is a naval curiosity."